Put your old iPad, iPhone or iPod touch to the best possible use – donate it to a public or private school or to a recycling program so it can be put to work as a learning tool for kids. Steve Glinberg, developer of the popular iPhone and iPad apps KidCalc Math Fun, 123 Color Talking Coloring Book, and 123 World Geography Coloring Book, today announces the continuation of his recycling program for iPads, iPhones and iPod touches, which brings high technology mobile devices into classrooms. With the recent release of the iPhone 5, the iPad mini, and also iPad 4, iPads, iPhones and iPod touches that are no longer needed are going unused in homes everywhere. At the same time, children around the world are successfully using high technology mobile devices for learning in classrooms. Teachers are incorporating iPads, iPhones, and iPod touches into their curriculum at an increasing rate. However, schools are constrained by ever tightening budgets. Many of these powerful devices with the capacity to interest, captivate and teach children are ending up in drawers, or on shelves, where they sit hardly used after the owner upgrades a newer version. Teachers please leave a comment below or send an email to the email address below to register to be a recipient of an iPhone or iPod touch. Please indicate where you teach, the age of your students, their current exposure to and use of computing and mobile computing devices, and please briefly describe your need. Software developers with an app in the iTunes App Store’s Education category that you would like included on iOS devices bound for schools and summer school programs can send me an email at the address below with a promo (download) code. Please include the name of your app and a link to it in the App Store. Note that apps will be evaluated for their educational value on a case by case basis before being installed, and they may also be deleted at the discretion of the teacher who receives the device. 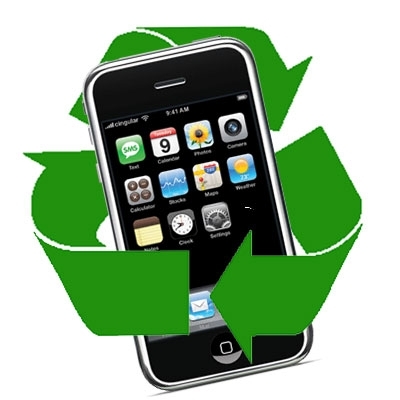 Help students at schools around the world by recycling your old iPhone or iPod touch. Please email me at recycle@123ColorApp.com for further details. Thank you sincerely. It is a great thing what you have done for our kids’ future education. I am an education advocate in PTA at Palmyra Elementary in Orange, CA. We have 3 special ed classes for autistic kids in the whole district. I donate one ipod touch with apps to one of the class, and both teachers and nonverbal kids love it…to see them talk or babble for the first time after using an ipod touch and the verbal behavior approach teaching is truly amazing. I’ve used iPods with my students, it is a phenomenal tool to learn and teach. I am interested in getting iPods donated for more students , and specially for low income students they really value this tool and they really take care of them. Thanks Steve Glinberg for this wonderful idea. What a wonderful idea Steve! I am a speech language pathologist and have just started using an iTouch this month with my students. I have found that it has been a very motivating tool for all. My kids with autism have shown improvement with requesting and making comments when using the iTouch. The more I explore the more I see the potential to use this to help with communication and social interaction skills. I am very interested in your program. I am an instructional technology resource at Stafford Middle and would love to get used iPhones or iPods into my teachers’ hands! Hi Steve! This is such a wonderful idea! I am a special education teacher in an early childhood program (3 and 4-year olds) and have been using my personal iPod touch with my students and it has really helped improve their engagement since they are motivated in using technology. I am very much interested in your program.